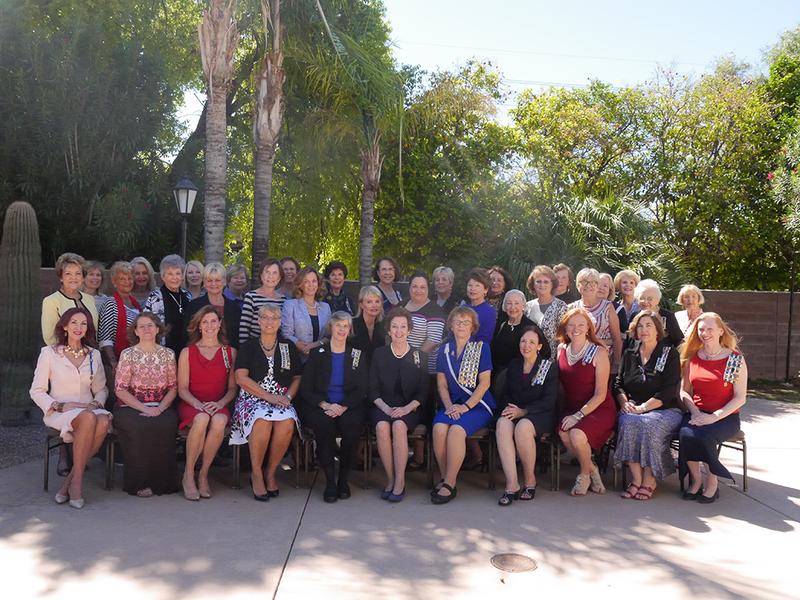 Scottsdale-chartered Grand Canyon Chapter Daughters of the American Revolution have had a very busy. Chapter member Virginia Curry won a national first place award for Craft and Metalwork in the American Heritage Contest, a contest that preserves our rich American heritage in the fields of art and sculpture, crafts, drama and literature, fiber arts, and music. 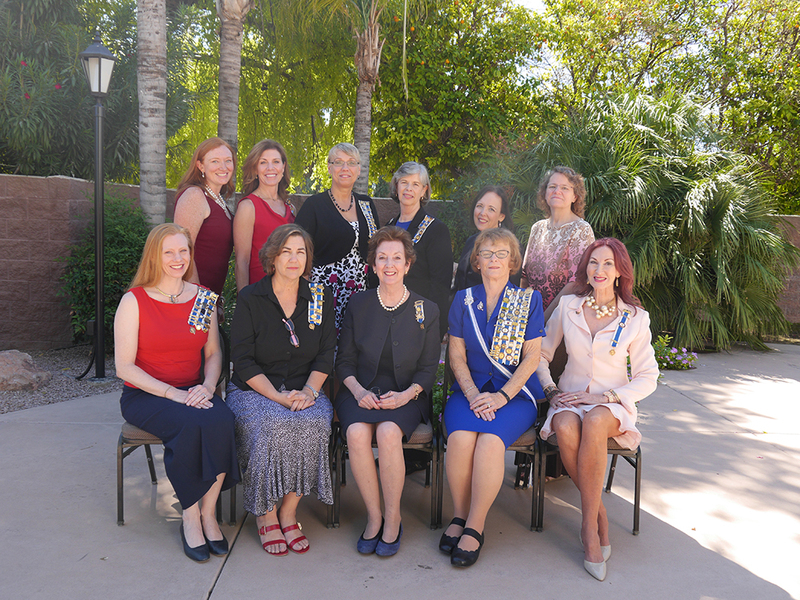 Grand Canyon Chapter Daughters of the American Revolution members at the October meeting at the Embassy Suites in Scottsdale. The Grand Canyon Chapter celebrated Constitution Week in September with the city of Scottsdale, with a Constitution Week Proclamation being read by Scottsdale Vice Mayor, Kathy Littlefield, proclaimed by Mayor Jim Lane. Meeting programs over the last few months have included a history, development and trials of the First Amendment, given by Mark Scarp; “Clothing Design for Revolutionary Women”, given by Dennita Sewell, Curator at the Phoenix Art Museum; and “Phoenix Mid-Century Modern Design and Architecture” by Allison King. Many members attended the Arizona State Fall Board of Management in October, lead by Arizona State Regent Terri Mott, also of Grand Canyon Chapter. The society also welcomed Ann Dillon, President General, as a special guest, and welcomed a variety of speakers and workshops, including a program from Nancy Mitchell and Leann Cardwell of the Arizona Humane Society. The state administration is partnering with the Humane Society to establish a first of its kind pilot program entitled Veterinarians for Veterans. This project will assist low income Veterans in caring for their companion animals at little or no cost-an important obstacle that often leaves a vulnerable veteran with the tough decision to have to give up their beloved companion due to a financial hardship. Grand Canyon Chapter members met at the at the Fall Board of Management Meeting for the Arizona State Society Daughters of the American Revolution. 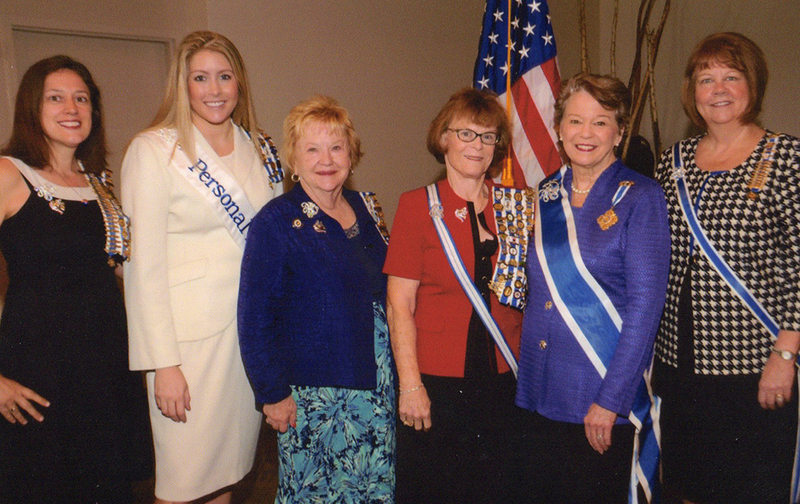 Pictured L-R: Suzanne Young, Jessie Wicks, Betty Heenan, Honorary State Regent Stephanie Troth, President General Ann Dillon, and State Regent Terri Mott. The chapter recently welcomed two new members; Nicki Wiswell and Iris Colbert. DAR is open to any woman 18 years or older who can trace her lineal descent to a Revolutionary War patriot. To learn more about the work of today’s DAR, visit www.DAR.org. Grand Canyon Chapter’s next meetings will be held on December 3, 2016 with a musical performance by Acapella Syndicate; January 7, 2017 with a program on Arizona’s Haunted Places; and February 4, 2017 with a program on Traditional Foods of the Native Americans. For information about Grand Canyon Chapter DAR in Scottsdale or to attend a monthly meeting, contact regent Susan von Hellens at 480-366-4888 or dargrandcanyon@gmail.com.